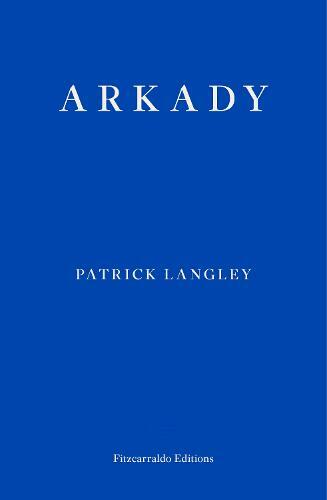 Waterstones Islington invites you to join us in welcoming Patrick Langley for an evening of discussion about his new novel, Arkady, published by Fitzcarraldo Editions. Patrick is a contributing editor at The White Review, and is an art critic for frieze and Art Agenda. Arkady is his debut novel. Patrick will be signing copies of his book after the event. Refreshments will be provided. Brothers Jackson and Frank live on the margins of a big urban sprawl. From abandoned tower blocks to gleaming skyscrapers, their city is brutal, beautiful and divided. As anti-government protests erupt across the teeming metropolis, the brothers sail in search of the Red Citadel and its promise of a radical new way of life. A striking portrait of the precarity of modern urban living, and of the fierce bonds that grow between brothers, Patrick Langley's debut Arkady is a brilliant coming-of-age novel, as brimming with vitality as the city itself.